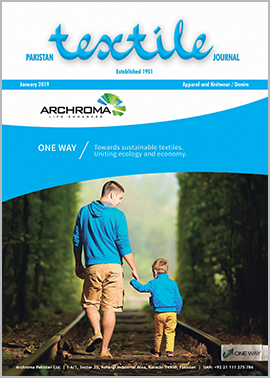 Archroma, one of the global leader in color and specialty chemicals, announced it has renewed the partnership with World Wide Fund for Nature (WWF Pakistan). The MoU paves the way for formal cooperation between the two institutions in Pakistan, leading to projects mainly related to water conservation in the textile industry there. Both parties officially signed the MoU in a recent ceremony at the Archroma Center of Excellence in Karachi. 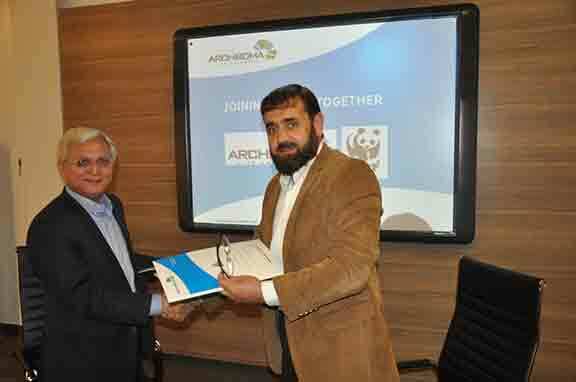 Mujtaba Rahim (left), CEO, Archroma Pakistan Limited, and Zahid Sultan Jadoon, Director Operations, WWF Pakistan, exchanging documents of the MoU signed between the two organizations at a ceremony held in Karachi. The MoU will build strong ties between Archroma and WWF Pakistan’s initiatives in promoting sustainable practices within the textile industry using Archroma’s technical expertise toward zero liquid discharge, software simulations in production lines, and the Archroma ONE WAY Process Simulator tool, together with research methodologies in reducing water consumption and re-using water. Both institutions will jointly strive to raise awareness amongst the textile sector through training programs by introducing new process models with a futuristic approach. The offices of Archroma Pakistan in Karachi are certified “Green Offices” and Archroma is a recipient of the prestigious “Eco Innovation Award” from WWF Pakistan. The Sustainable Effluent Treatment (SET) plant of Archroma at Jamshoro is a unique facility within the industry of textile dyes and chemicals manufacturing. It operates toward zero liquid discharge having 80% water recovery thus saving millions of liters of fresh water.